Chapter 62 - Public Utilities. § 62-2. Declaration of policy. § 62-4. Applicability of Chapter. § 62-5. Utilities; property affected by boundary certification. § 62-6: Reserved for future codification purposes. § 62-7: Reserved for future codification purposes. § 62-8: Reserved for future codification purposes. § 62-9: Reserved for future codification purposes. Article 2 - Organization of Utilities Commission. § 62-10. Number; appointment; terms; qualifications; chairman; vacancies; compensation; other employment prohibited. § 62-11. Oath of office. § 62-12. Organization of Commission; adoption of rules and regulations therefor. § 62-13. Chairman to direct Commission. § 62-14. Commission staff; structure and function. § 62-15. Office of executive director; public staff, structure and function. § 62-16. Repealed by Session Laws 1977, c. 468, s. 5. § 62-17. Annual reports; monthly or quarterly release of certain information; publication of procedural orders and decisions. § 62-18. Records of receipts and disbursements; payment into treasury. § 62-19. Public record of proceedings; chief clerk; seal. § 62-20. Participation by Attorney General in Commission proceedings. § 62-21. Repealed by Session Laws 1977, c. 468, s. 9. § 62-22. Utilities Commission and Department of Revenue to coordinate facilities for rate making and taxation purposes. § 62-23. Commission as an administrative board or agency. §§ 62-24 through 62-29. Reserved for future codification purposes. Article 3 - Powers and Duties of Utilities Commission. § 62-30. General powers of Commission. § 62-31. Power to make and enforce rules and regulations for public utilities. § 62-32. Supervisory powers; rates and service. § 62-33. Commission to keep informed as to utilities. § 62-34. To investigate companies under its control; visitation and inspection. § 62-35. System of accounts. § 62-36. Reports by utilities; canceling certificates for failure to file. § 62-36.01. Regulation of natural gas service agreements. § 62-36.1: Repealed by Session Laws 2014-120, s. 10(a), effective September 18, 2014. § 62-36A: Repealed by Session Laws 2014-120, s. 10(a), effective September 18, 2014. § 62-36B: Recodified as G.S. 62-36.01 by Session Laws 2015-264, s. 10, effective October 1, 2015. § 62-38. Power to regulate public utilities in municipalities. § 62-39. To regulate crossings of telephone, telegraph, electric power lines and pipelines and rights-of-way of railroads and other utilities by another utility. § 62-40. To hear and determine controversies submitted. § 62-41. To investigate accidents involving public utilities; to promote general safety program. § 62-42. Compelling efficient service, extensions of services and facilities, additions and improvements. § 62-43. Fixing standards, classifications, etc. ; testing service. § 62-44. Commission may require continuous telephone lines. § 62-45. Determination of cost and value of utility property. § 62-46. Water gauging stations. § 62-47. Reports from municipalities operating own utilities. § 62-48. Appearance before courts and agencies. § 62-49. Publication of utilities laws. § 62-50. Safety standards for gas pipeline facilities. § 62-51. To inspect books and records of corporations affiliated with public utilities. § 62-52. Interruption of service. § 62-53. Electric membership corporation subsidiaries. § 62-54. Notification of opportunity to object to telephone solicitation. §§ 62-55 through 62-59. Reserved for future codification purposes. Article 4 - Procedure Before the Commission. § 62-60. Commission acting in judicial capacity; administering oaths and hearing evidence; decisions; quorum. § 62-60.1. Commission to sit in panels of three. § 62-61. Witnesses; production of papers; contempt. § 62-62. Issuance and service of subpoenas. § 62-63. Service of process and notices. § 62-65. Rules of evidence; judicial notice. § 62-67. Repealed by Session Laws 1981, c. 193, s. 1. § 62-68. Use of affidavits. § 62-69. Stipulations and agreements; prehearing conference. § 62-70. Ex parte communications. § 62-71. Hearings to be public; record of proceedings. § 62-72. Commission may make rules of practice and procedure. § 62-73. Complaints against public utilities. § 62-73.1. Complaints against providers of telephone services. § 62-74. Complaints by public utilities. § 62-75. Burden of proof. § 62-76. Hearings by Commission, panel of three commissioners, single commissioner, or examiner. § 62-77. Recommended decision of panel of three commissioners, single commissioner or examiner. § 62-78. Proposed findings, briefs, exceptions, orders, expediting cases, and other procedure. § 62-79. Final orders and decisions; findings; service; compliance. § 62-80. Powers of Commission to rescind, alter or amend prior order or decision. § 62-81. Special procedure in hearing and deciding rate cases. § 62-82. Special procedure on application for certificate for generating facility; appeal from award order. §§ 62-83 through 62-89. Reserved for future codification purposes. Article 5 - Review and Enforcement of Orders. § 62-90. Right of appeal; filing of exceptions. § 62-91. Appeal docketed; title on appeal; priorities on appeal. § 62-92. Parties on appeal. § 62-93. No evidence admitted on appeal; remission for further evidence. § 62-94. Record on appeal; extent of review. § 62-95. Relief pending review on appeal. § 62-96. Appeal to Supreme Court. § 62-97. Judgment on appeal enforced by mandamus. § 62-98. Peremptory mandamus to enforce order, when no appeal. § 62-99. Repealed by Session Laws 1967, c. 1190, s. 5. Article 5A - Siting of Transmission Lines. § 62-101. Certificate to construct transmission line. § 62-102. Application for certificate. § 62-105. Burden of proof; decision. § 62-106. Effect of local ordinances. § 62-108. Reserved for future codification purposes. § 62-109. Reserved for future codification purposes. Article 6 - The Utility Franchise. § 62-110. Certificate of convenience and necessity. § 62-110.1. Certificate for construction of generating facility; analysis of long-range needs for expansion of facilities; ongoing review of construction costs; inclusion of approved construction costs in rates. § 62-110.2. Electric service areas outside of municipalities. § 62-110.3. Bond required for water and sewer companies. § 62-110.4. Alternative Operator Services. § 62-110.5. Commission may exempt certain nonprofit and consumer-owned water or sewer utilities. § 62-110.6. Rate recovery for construction costs of out-of-state electric generating facilities. § 62-110.7. Project development cost review for a nuclear facility. § 62-110.8. Competitive procurement of renewable energy. § 62-111. Transfers of franchises; mergers, consolidations and combinations of public utilities. § 62-112. Effective date, suspension and revocation of franchises; dormant motor carrier franchises. § 62-113. Terms and conditions of franchises. § 62-114: Repealed by Session Laws 1995, c. 523, s. 5. § 62-115. Issuance of partnership franchises. § 62-116. Issuance of temporary or emergency authority. § 62-117. Same or similar names prohibited. § 62-118. Abandonment and reduction of service. Article 6A - Radio Common Carriers. §§ 62-119 through 62-125: Repealed by Session Laws 1995, c. 523, s. 31. §§ 62-126 through 62-129. Reserved for future codification purposes. Article 6B - Distributed Resources Access Act. § 62-126.2. Declaration of policy. § 62-126.4. Commission to establish net metering rates. § 62-126.5. Scope of leasing program in offering utilities' service areas. § 62-126.6. Electric customer generator leasing requirements; disclosures; records. § 62-126.7. Commission authority over electric generator lessors. § 62-126.8. Community solar energy facilities. § 62-126.9. Scope of leasing program by municipalities. Article 7 - Rates of Public Utilities. § 62-130. Commission to make rates for public utilities. § 62-131. Rates must be just and reasonable; service efficient. § 62-132. Rates established under this Chapter deemed just and reasonable; remedy for collection of unjust or unreasonable rates. § 62-133. How rates fixed. § 62-133.1. Small water and sewer utility rates. § 62-133.1A. Fair value determination of government-owned water and wastewater systems. § 62-133.2. Fuel and fuel-related charge adjustments for electric utilities. § 62-133.3: Repealed by Session Laws 1995, c. 27, s. 5. § 62-133.4. Gas cost adjustment for natural gas local distribution companies. § 62-133.5. Alternative regulation, tariffing, and deregulation of telecommunications utilities. § 62-133.6. Environmental compliance costs recovery. § 62-133.7. Customer usage tracking rate adjustment mechanisms for natural gas local distribution company rates. § 62-133.7A. Rate adjustment mechanism for natural gas local distribution company rates. § 62-133.8. Renewable Energy and Energy Efficiency Portfolio Standard (REPS). § 62-133.9. Cost recovery for demand-side management and energy efficiency measures. § 62-133.10. Retention of fuel and fuel-related cost savings associated with the purchase or construction of a carbon offset facility. § 62-133.11. Rate adjustment for changes in costs based on third-party rates. § 62-133.12. Rate adjustment mechanism based on investment in repair, improvement, and replacement of water and sewer facilities. § 62-133.13. Recovery of costs related to unlawful discharges from coal combustion residuals surface impoundments to the surface waters of the State. § 62-133.14. Cost recovery for acquisition of joint municipal power agency ownership interest in generating facilities. § 62-133.15. (Expires July 1, 2021 – see note) Cost recovery for natural gas economic development infrastructure. § 62-134. Change of rates; notice; suspension and investigation. § 62-135. Temporary rates under bond. § 62-136. Investigation of existing rates; changing unreasonable rates; certain refunds to be distributed to customers. § 62-137. Scope of rate case. § 62-138. Utilities to file rates, service regulations and service contracts with Commission; publication; certain telephone service prohibited. § 62-139. Rates varying from schedule prohibited; refunding overcharge; penalty. § 62-141. Long and short hauls. § 62-142. Contracts as to rates. § 62-143. Schedule of rates to be evidence. § 62-145. Rates between points connected by more than one route. § 62-146. Rates and service of motor common carriers of property. § 62-146.1. Rates and service of bus companies. § 62-147: Repealed by Session Laws 1995, c. 523, s. 10. § 62-148. Rates on leased or controlled utility. § 62-149. Unused tickets to be redeemed. § 62-150. Ticket may be refused intoxicated person; penalty for prohibited entry. § 62-151. Passenger refusing to pay fare or violating rules may be ejected. § 62-152: Repealed by Session Laws 1998-128, s. 13. § 62-152.1. Uniform rates; joint rate agreements among carriers. § 62-152.2. Standard transportation practices. § 62-153. Contracts of public utilities with certain companies and for services. § 62-154. Surplus power rates. § 62-155. Electric power rates to promote conservation. § 62-156. Power sales by small power producers to public utilities. § 62-157. Telecommunications relay service. § 62-158. Natural gas expansion. § 62-159. Additional funding for natural gas expansion. § 62-159.1. Debt collection practices. § 62-159.2. Direct renewable energy procurement for major military installations, public universities, and large customers. § 62-159.3. Reserved for future codification purposes. § 62-159.4. Reserved for future codification purposes. § 62-159.5. Reserved for future codification purposes. Article 8 - Securities Regulation. § 62-160. Permission to pledge assets. § 62-161. Assumption of certain liabilities and obligations to be approved by Commission; refinancing of public utility securities. § 62-162. Commission may approve in whole or in part or refuse approval. § 62-163. Contents of application for permission. § 62-164. Applications to receive immediate attention; continuances. § 62-165. Notifying Commission as to disposition of securities. § 62-166. No guarantee on part of State. § 62-167. Article not applicable to note issues and renewals; notice to Commission. § 62-168. Not applicable to debentures of court receivers. § 62-169. Periodical or special reports. § 62-170. Failure to obtain approval not to invalidate securities or obligations; noncompliance with Article, etc. § 62-171. Commission may act jointly with agency of another state where public utility operates. §§ 62-172 through 62-179. Reserved for future codification purposes. Article 9 - Acquisition and Condemnation of Property. § 62-180. Use of railroads and public highways. § 62-181. Electric and hydroelectric power companies may appropriate highways; conditions. § 62-182. Acquisition of right-of-way by contract. § 62-182.1. Access to dedicated public right-of-way. § 62-183. Grant of eminent domain. § 62-184. Dwelling house of owner, etc., may be taken under certain cases. § 62-185. Exercise of right of eminent domain; parties' interests only taken; no survey required. § 62-186. Repealed by Session Laws 1981, c. 919, s. 4, effective January 1, 1982. § 62-187. Proceedings as under eminent domain. § 62-188. Repealed by Session Laws 1981, c. 919, s. 6, effective January 1, 1982. § 62-189. Powers granted corporations under Chapter exercisable by persons, firms or copartnerships. § 62-190. Right of eminent domain conferred upon pipeline companies; other rights. § 62-191. Flume companies exercising right of eminent domain become common carriers. § 62-192: Repealed by Session Laws 1998-128, s. 13. §§ 62-193 through 62-199. Reserved for future codification purposes. Article 10 - Transportation in General. § 62-200. Duty to transport household goods within a reasonable time. § 62-201. Freight charges to be at legal rates; penalty for failure to deliver to consignee on tender of same. § 62-202. Baggage and freight to be carefully handled. § 62-203. Claims for loss or damage to goods; filing and adjustment. § 62-204.  Notice of claims, statute of limitations for loss, damage or injury to property. § 62-205. Joinder of causes of action. § 62-206. Carrier's right against prior carrier. § 62-207: Repealed by Session Laws 1998-128, s. 13. § 62-208. Common carriers to settle promptly for cash-on-delivery shipments; penalty. § 62-209. Sale of unclaimed baggage or household goods; notice; sale of rejected property; escheat. § 62-210. Discrimination between connecting lines. § 62-211: Repealed by Session Laws 1995, c. 523, s. 15. § 62-212. Indemnity agreements in motor carrier transportation contracts. §§ 62-213 through 62-219. Reserved for future codification purposes. § 62-220: Recodified as § 136-190 by Session Laws 1998-128, s. 14. §§ 62-221 through 62-222: Repealed by Session Laws 1998-128, s. 13. §§ 62-223 through 62-226: Recodified as §§ 136-191 through 136-194 by Session Laws 1998-128, s. 14. §§ 62-227 through 62-234: Repealed by Session Laws 1998-128, s. 13. § 62-235: Repealed by Session Laws 1995 (Regular Session, 1996), c. 673, s. 3. § 62-236: Recodified as § 136-20.1 by Session Laws 1995 (Regular Session, 1996), c. 673, s. 5. § 62-237: Recodified as G.S. 136-195 by Session Laws 1998-128, s. 14, effective September 4, 1998. §§ 62-238 through 62-239: Repealed by Session Laws 1998-128, s. 13. § 62-240: Recodified as § 136-196 by Session Laws 1998-128, s. 14. §§ 62-241 through 62-247: Repealed by Session Laws 1998-128, s. 13. §§ 62-248 through 62-258. Reserved for future codification purposes. Article 12 - Motor Carriers. § 62-259. Additional declaration of policy for motor carriers. § 62-259.1. Specific declaration of policy for bus companies. § 62-260. Exemptions from regulations. § 62-261. Additional powers and duties of Commission applicable to motor vehicles. § 62-262. Applications and hearings other than for bus companies. § 62-262.1. Certificates of authority for passenger operations by bus companies. § 62-262.2. Discontinuance or reduction in service. § 62-263. Application for broker's license. § 62-264: Repealed by Session Laws 1995, c. 523, s. 19. § 62-265. Emergency operating authority. § 62-266. Repealed by Session Laws 1985, c. 454, s. 13, effective June 24, 1985. § 62-267. Deviation from regular route operations. § 62-268. Security for protection of public; liability insurance. § 62-269. Accounts, records and reports. § 62-270. Orders, notices, and service of process. § 62-271. Collection of rates and charges of motor carriers of household goods. § 62-272. Allowance to shippers for transportation services. § 62-273. Embezzlement of C.O.D. shipments. § 62-273.1. Criminal history record checks of applicants for and current holders of certificate to transport household goods. § 62-274. Evidence; joinder of surety. § 62-275. Repealed by Session Laws 1985, c. 676, s. 23, effective July 10, 1985. § 62-276. Construction of Article. § 62-277. Repealed by Session Laws 1985, c. 454, s. 16, effective June 24, 1985. § 62-278. Revocation of license plates by Utilities Commission. § 62-279. Injunction for unlawful operations. § 62-280. Household goods carrier; marking or identification of vehicles. § 62-280.1. False representation of household goods carrier certificate unlawful. § 62-281. Repealed by Session Laws 1985, c. 454, s. 17, effective June 24, 1985. §§ 62-282 through 62-289. Reserved for future codification purposes. Article 12A - Human Service Transportation. § 62-289.4. Classification of transportation. § 62-289.5. Inapplicable laws and regulations. § 62-289.6. Insurance for volunteers. § 62-289.7. Municipal licenses and taxes. Article 13 - Reorganization of Public Utilities. § 62-290. Corporations whose property and franchises sold under order of court or execution. § 62-291. New owners to meet and organize; special rule for railroads. § 62-292. Certificate to be filed with Secretary of State. § 62-293. Effect on liens and other rights. §§ 62-294 through 62-299. Reserved for future codification purposes. Article 14 - Fees and Charges. § 62-300. Particular fees and charges fixed; payment. § 62-301: Repealed by Session Laws 1989, c. 787, s. 2. § 62-302.1. Regulatory fee for combustion residuals surface impoundments. §§ 62-303 through 62-309. Reserved for future codification purposes. Article 15 - Penalties and Actions. § 62-310. Public utility violating any provision of Chapter, rules or orders; penalty; enforcement by injunction. § 62-311. Willful acts of employees deemed those of public utility. § 62-312. Actions to recover penalties. § 62-313. Refusal to permit Commission to inspect records made misdemeanor. § 62-314. Violating rules, with injury to others. § 62-315. Failure to make report; obstructing Commission. § 62-316. Disclosure of information by employee of Commission unlawful. § 62-317. Remedies for injuries cumulative. § 62-318. Allowing or accepting rebates a misdemeanor. § 62-319. Riding on train unlawfully; venue. § 62-320: Repealed by Session Laws 1995, c. 523, s. 30. § 62-321. Penalty for nondelivery of intrastate telegraph message. § 62-322. Unauthorized manufacture or sale of switch-lock keys a misdemeanor. § 62-323. Willful injury to property of public utility a misdemeanor. § 62-324. Disclosure of information as to shipments unlawful. § 62-325. Unlawful motor carrier operations. § 62-326. Furnishing false information to the Commission; withholding information from the Commission. § 62-327. Gifts to members of Commission, Commission employees, or public staff. § 62-328. Unauthorized use of Citizens Band equipment. § 62-329: Reserved for future codification. § 62-330: Reserved for future codification. § 62-331: Reserved for future codification. § 62-332: Reserved for future codification. Article 16 - Security Provisions. § 62-333. Screening employment applications. § 62-334: Reserved for future codification purposes. § 62-335: Reserved for future codification purposes. § 62-336: Reserved for future codification purposes. § 62-337: Reserved for future codification purposes. § 62-338: Reserved for future codification purposes. § 62-339: Reserved for future codification purposes. § 62-340: Reserved for future codification purposes. § 62-341: Reserved for future codification purposes. § 62-342: Reserved for future codification purposes. § 62-343: Reserved for future codification purposes. § 62-344: Reserved for future codification purposes. § 62-345: Reserved for future codification purposes. § 62-346: Reserved for future codification purposes. § 62-347: Reserved for future codification purposes. § 62-348: Reserved for future codification purposes. § 62-349: Reserved for future codification purposes. Article 17 - Miscellaneous Provisions. § 62-350. (See Editor's note) Regulation of pole attachments. § 62-351. Demand-side management policy; pilot project.